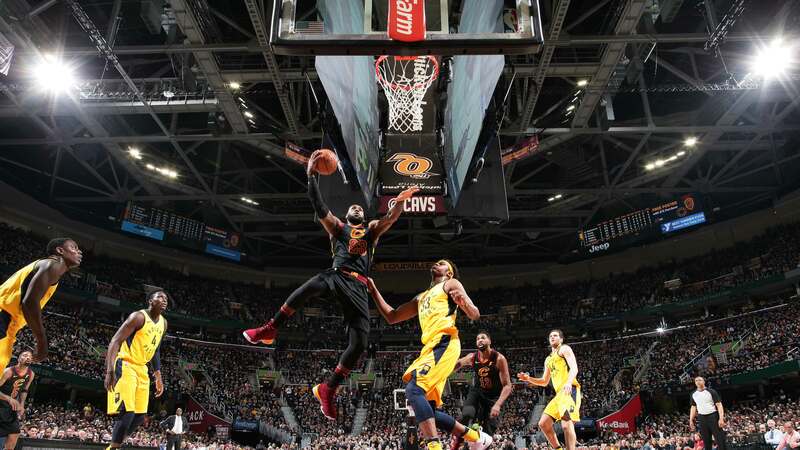 LeBron James catapults the Cavaliers over the Pacers in a 105-101 Game 7 win after putting up 45 points, nine rebounds, seven assists, and four steals. Pacers All-Star guard Victor Oladipo scored 25 of his 30 points in the second half of Game 7. 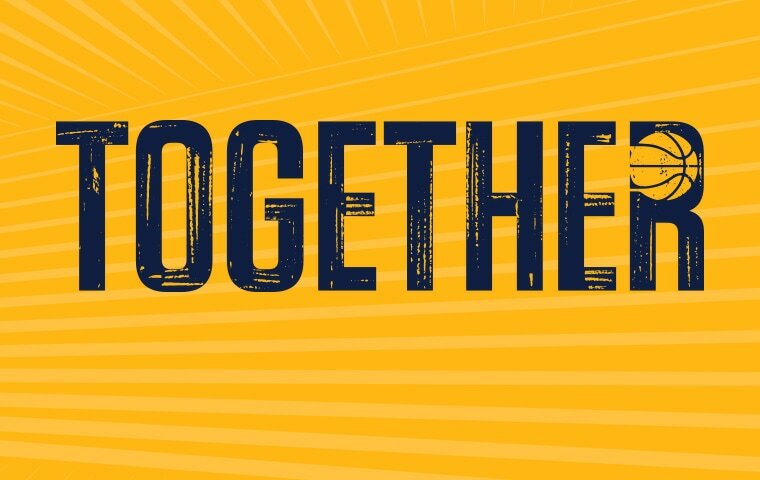 April 29, 2018 - After a Game 7 loss, Lance Stephenson, Myles Turner, Darren Collison and Thad Young reflected on the series and season as a whole. 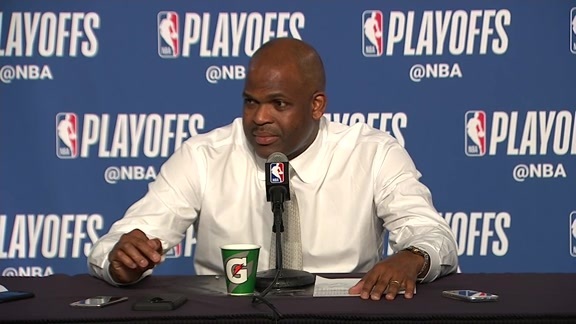 April 29, 2018 - Nate McMillan speaks to the media about the hard fought series and the Pacers' tough Game 7 loss. 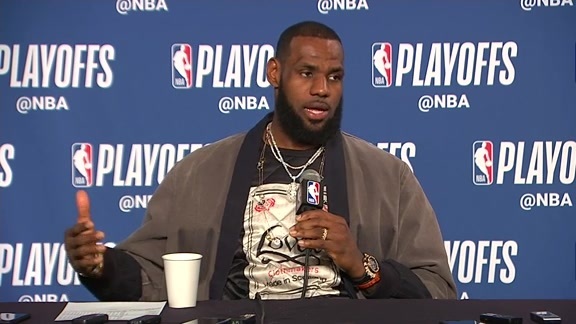 April 29, 2018 - LeBron James speaks to the media about the hard fought series and the Cavaliers' Game 7 victory. 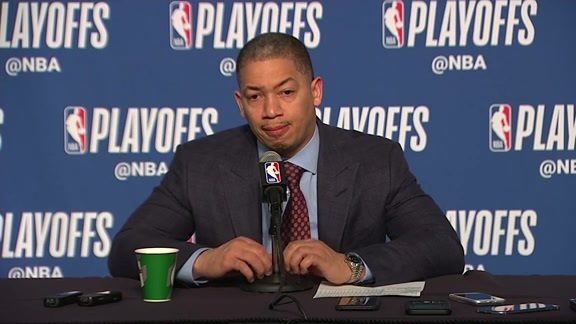 April 29, 2018 - Cavaliers' coach Tyronn Lue speaks to the media about their gameplan and execution in their Game 7 victory over the Pacers. Lance Stephenson knocks down the 3-pointer in the first quarter of Game 7. Pacers fans won't soon forget the 2017-18 team. Almost every expert pegged them as a lottery team prior to the season, but somehow, they won 48 games and went toe to toe with the defending Eastern Conference champion Cleveland Cavaliers for seven games in the first round of the playoffs. Even in their 105-101 loss in Game 7 on Sunday afternoon, they showcased their trademark resilience. Indiana rallied from a 14-point first-half deficit on the road, taking the lead midway through the third quarter and briefly silencing the sellout crowd at Quicken Loans Arena. But in the end, they did not have quite enough to overcome another otherworldly performance by LeBron James, who finished 45 points, nine rebounds, and seven assists to lead the Cavaliers to the second round, where they will face the top-seeded Toronto Raptors. Nonetheless, throughout the seven-games series, the Pacers did exactly what they had already done during the regular season — they left it all on the floor every night and they never gave in, all the way up until the final buzzer. "If y'all don't respect the Indiana Pacers now, I have no respect for you," Pacers All-Star guard Victor Oladipo said after the game. "That's just how I feel. Nobody thought we were going to be here. No one. Not one person but us in the locker room. I feel like we've earned our respect from everyone." They certainly earned it from James, who went out of his way to praise the Pacers in his postgame press conference. "Kudos and a big shout out to the Indiana Pacers, first of all," James said. "They were tough. A tough team. "Obviously they have the head of the snake in Vic (who) made an unbelievable jump from last year to this year. We all saw it and he proved why he's a franchise-caliber player. And everybody on down, they've just got a well-rounded team and definitely pushed us to the brink." After losing by 34 points in Game 6, Cleveland changed up its starting lineup for Game 7. For the first time all series, head coach Tyronn Lue started Tristan Thompson at center. Thompson replaced point guard Jose Calderon, giving the Cavs a bigger look with James running the point. The Pacers got off to a slow start, missing their first five shots — all of them coming from beyond the 3-point arc. A pair of free throws by Darren Collison provided Indiana's only points in the first four minutes as the Cavs jumped out to a 9-2 lead. Thompson, meanwhile, made an early impact on the interior for Cleveland. The 6-9, 238-pound big man played the first 10:46 of the first quarter and racked up six points and seven rebounds (two of them offensive). "I didn't know he was starting until they announced it," Pacers center Myles Turner said. "He was big on the glass and made some big shots." At the same time, James was his usual brilliant self, making all five of his attempts in the first quarter on his way to 13 points. Cleveland led by as many as 13 in the opening frame and took a 31-19 lead into the second quarter. The Cavs extended their lead to 14 points in the second quarter before the Pacers mounted a charge. 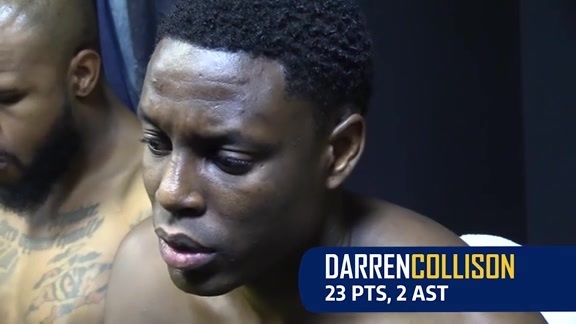 Playing a three-guard lineup with Darren Collison, Cory Joseph, and Oladipo, Indiana reeled off 10 unanswered points to climb back into the game. Lance Stephenson replaced Joseph shortly thereafter and the Cavs went right at him, posting up James on Stephenson for five straight possessions. Cleveland scored on all five of those possessions — the first two off James assists and the last three off James baskets — to go on a 12-4 run. They maintained a double-digit advantage for the rest of the half, taking a 54-43 lead into the locker room. "They just kind of jumped on us," Pacers forward Thaddeus Young said of the first half. "We've been able to recover in previous games, but they did a really good job." Cleveland scored the first two points of the second half, but the Pacers scored the next nine to quickly make it a four-point game. Back-to-back threes by Young and Bojan Bogdanovic shortly therafter gave Indiana its first lead of the game at 59-58 with 7:12 left in the third. The Pacers briefly extended their lead to three points before the Cavs moved back in front, taking the lead for good on James' dunk with 4:22 left in the frame. James exited the game for the first time with a minute left in the third quarter and headed to Cleveland's locker room with minor cramps. He was not on the bench for the start of the fourth quarter, but returned from the locker room in the first minute of the final frame. Even without their star to open the fourth, the Cavs were able to extend their lead in the opening minutes, thanks to three free throws from George Hill and a 3-pointer by Kevin Love. James returned with 8:25 to play and Cleveland leading, 86-79. Cleveland quickly stretched the margin to 12, thanks to two more Hill free throws and another three by Love. The hosts kept the Blue & Gold at arm's length for the next several minutes, but Indiana mounted a final charge. After slowly clawing away at their deficit, the Pacers made it a 100-96 game on Oladipo's layup with 50.1 seconds remaining. But on the ensuing possession, James dished to Kyle Korver on the wing, who found a cutting James for the game-sealing layup with 30.2 seconds to play. "They won the series," Collison said. "You've got to give them credit. LeBron was amazing. Some of their guys stepped up in a big-time game." Oladipo led Indiana with 30 points, 12 rebounds, six assists, and three steals and was excellent throughout the second half, scoring 25 of his points over the final two quarters. Collison, meanwhile, scored 17 of his 23 points in the first half. Young added 14 points and 10 rebounds for the Pacers, while Domantas Sabonis chipped in 10 points and five rebounds off the bench. 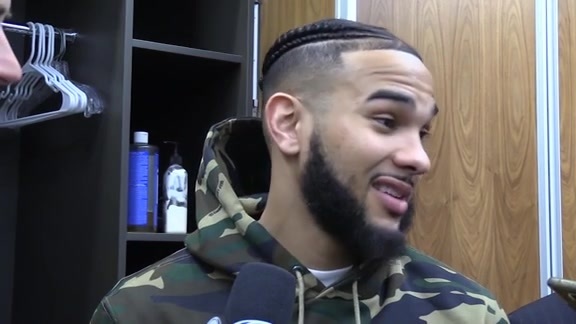 Thompson, who had just a total of three points and six rebounds in just 23 total minutes over the first six games of the series, finished with 15 points on 5-of-6 shooting and 10 rebounds in 35 minutes for Cleveland. Love added 14 points — eight of them coming during a pivotal stretch early in the fourth quarter — and six rebounds. Hill did not play in the first half and had missed the previous three games due to back spasms, but played 19:12 in the second half and finished with 11 points, six rebounds, and three assists. He went 9-for-11 from the free throw line. 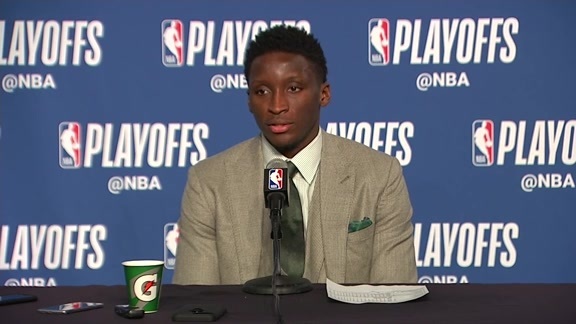 "Unfortunately, it ended a little sour, but I wouldn't trade this year for (anything) or the men in that locker room for anyone," Oladipo said. "It's been a phenomenal year. I left it all out there, we left it all out there...It was an honor to play alongside those gentlemen and I look forward to growing with them in the future." Oladipo scored 30 points for the second time in the series (he had 32 in Game 1). 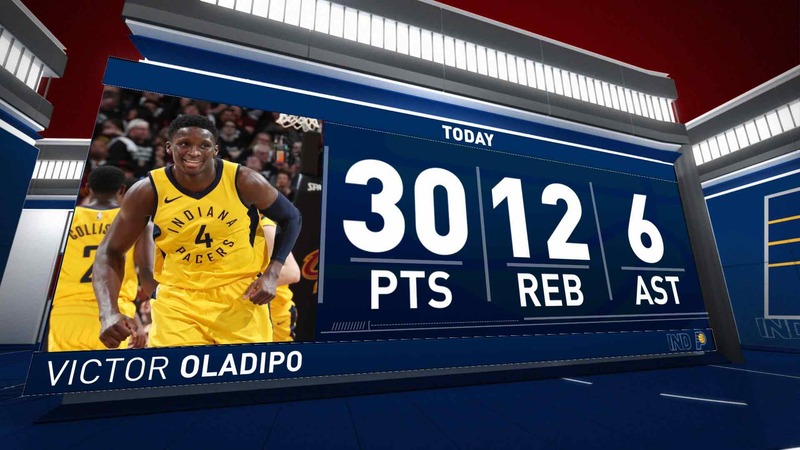 And though he had just two regular season games with double-digit rebounds, Oladipo recorded 12 or more boards in each of the last three games against the Cavs. The Pacers outscored Cleveland 44-30 in the paint on Sunday and won that stat category in all seven games of the series. The Cavaliers had just one turnover at halftime, but Indiana forced them into 10 giveaways in the second half. James topped 40 points for the third time this series. Cleveland won all three of those games, including Game 2 (when he scored 46) and Game 5 (when he scored 44). His 45 points on Sunday were the second-most in a Game 7 win in NBA playoff history, trailing only Sam Jones, who scored 47 for the Celtics in a Game 7 victory in 1963. Thompson's double-double was his first since Feb. 9 against Atlanta. Including Sunday, when they outscored the Cavaliers by seven points after halftime, the Pacers outscored Cleveland by a total of 56 points in the second half over the course of the series. Fouls were an issue for the Pacers in Game 7. Both Turner and Sabonis fouled out, while Bogdanovic finished the game with five fouls. Those fouls added up, as the Cavs attempted 40 free throws to Indiana's 24. 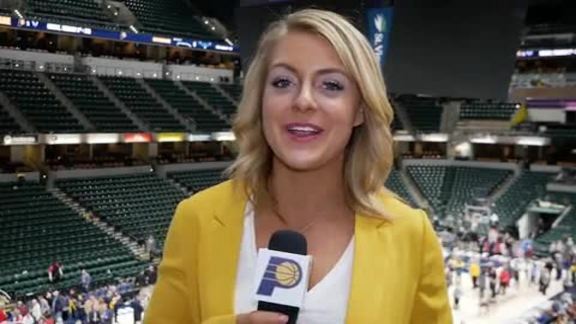 The Pacers received two technical fouls, one on Stephenson in the first quarter and one on Collison in the third. Indiana has not reached the second round of the playoffs since the 2013-14 season, when the Pacers advanced to the Eastern Conference Finals. The Pacers missed the playoffs the following season and have lost in the first round three straight years. James' teams in Miami and Cleveland have now eliminated the Pacers from the playoffs in five of the last seven seasons. James has never lost a first-round series. The last time he did not play in at least the Eastern Conference Semifinals was in 2005, when the Cavs missed the playoffs in his second NBA season. 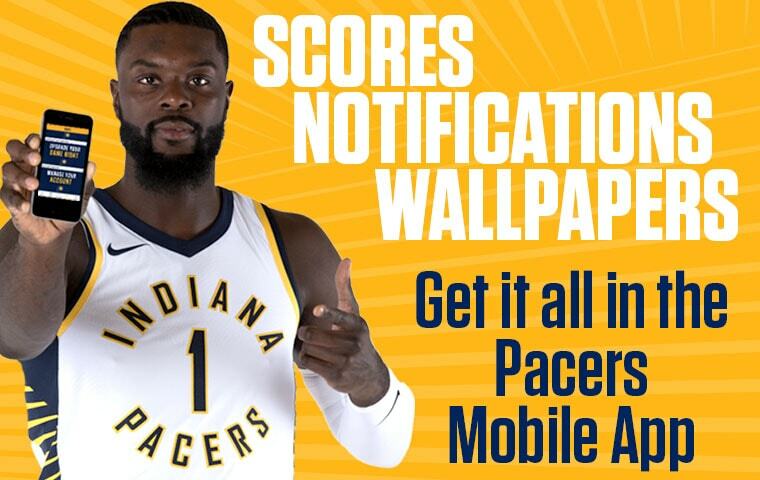 Download the latest of the official Indiana Pacers App for iOS and Android to stay connected to the Pacers everywhere you go. The app has all the latest news, videos, photos, game info, and exclusive in-game upgrade opportunities. Follow the Pacers on all our social media channels for fun and engaging content, contests and giveaways, and behind-the-scenes access.